It’s Flora here with a new layout. I just got a bunch of Altenew stamp sets yesterday and I instantly had to try them and play with them. Here is the first result. I think black and white patterns never go out of fashion and this summer it is really trendy and popular. So I thought I would make my own black and white pattern papers for a 12″ scrapbook layout. 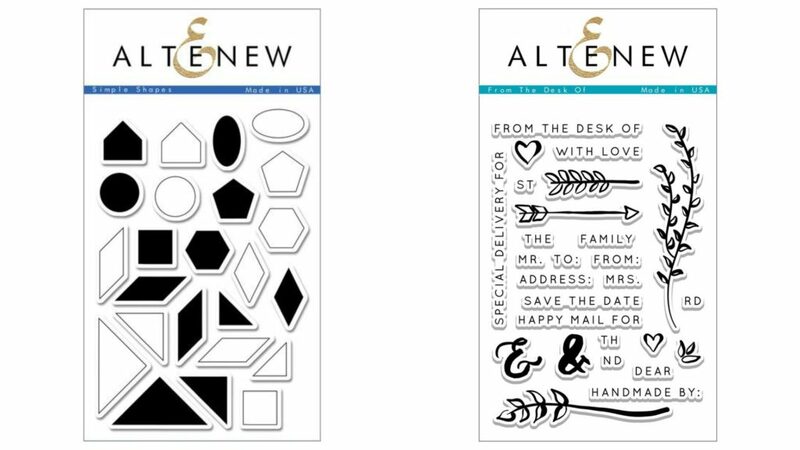 For this project I chose Altenew’s Simple Shapes and From The Desk Of stamp sets and Jet Black Crisp Dye Ink. I stamped on white 4″x4″ cardstocks using the circle, triangle, square and arrow shapes. Some of the prints are not perfect and maybe the lines are curved, but don’t worry, they do not need to be perfect. When the mini pattern papers were ready I placed them on the left side of my 12″ cardstock, then adhered the photo. I layered a pink paper behind it so the photo could pop out. I completed the layout with a big golden title and tiny pink, gold and black stickers. I have a new video, too. Check out how I created these pattern papers. I hope you will try it and please share with me what your version looks like. 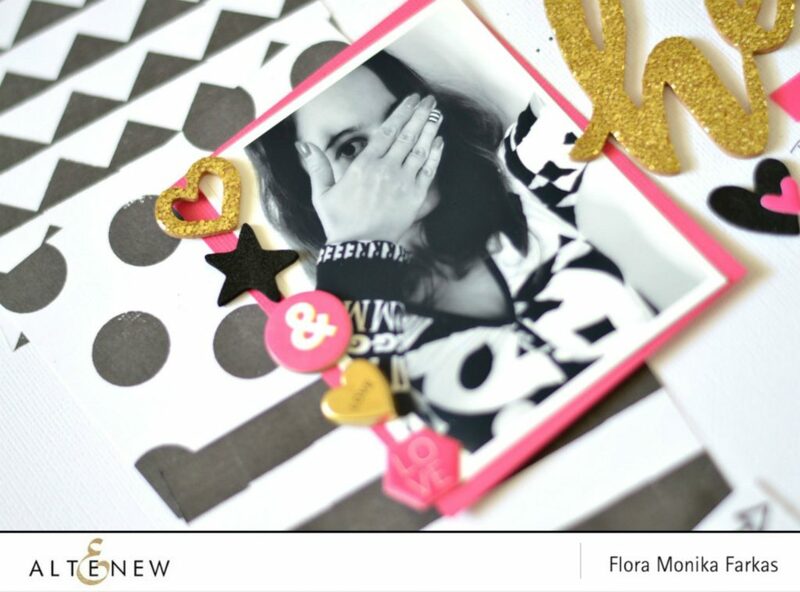 Flora – this is so lovely – you have done such an amazing job with these stamps and making such cool backgrounds!! Love the black and white with the pops of pink and gold!! I like how you made your paper. Those touches of pink really made the layout pop. I think I can’t imagine your layout without pink! 🙂 So beautifully done, Flora!!!! Sometimes it happens. 😀 Sometimes! 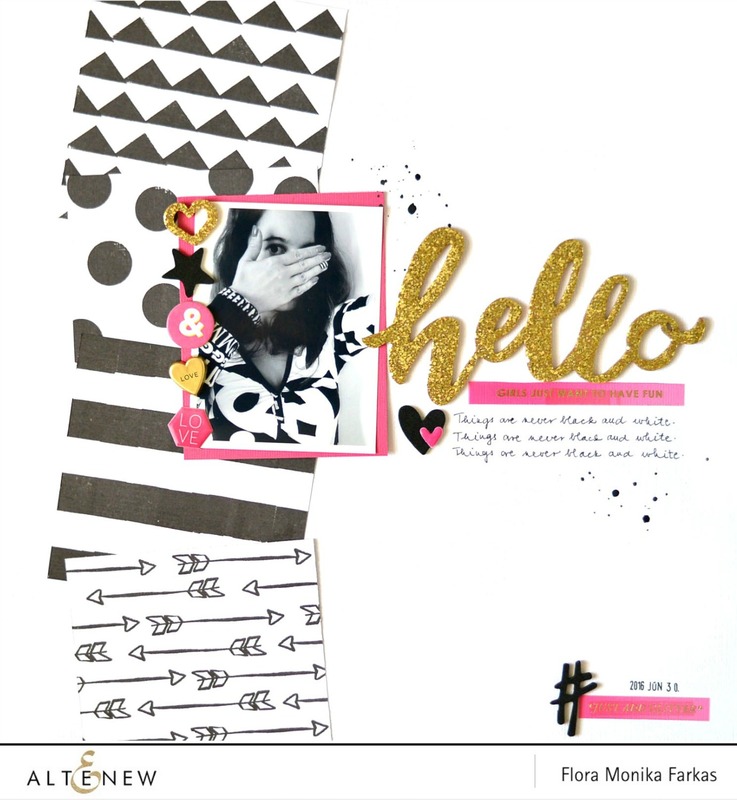 COOL stamping and FABULOUS layout!! !